While all great creative projects should be the work of collaboration, some projects require a deeper partnership and commitment to crafting something together. Each of these ventures goes beyond the typical client-creative relationship, into a space where I had a deeper level of ownership over the final product or performance. 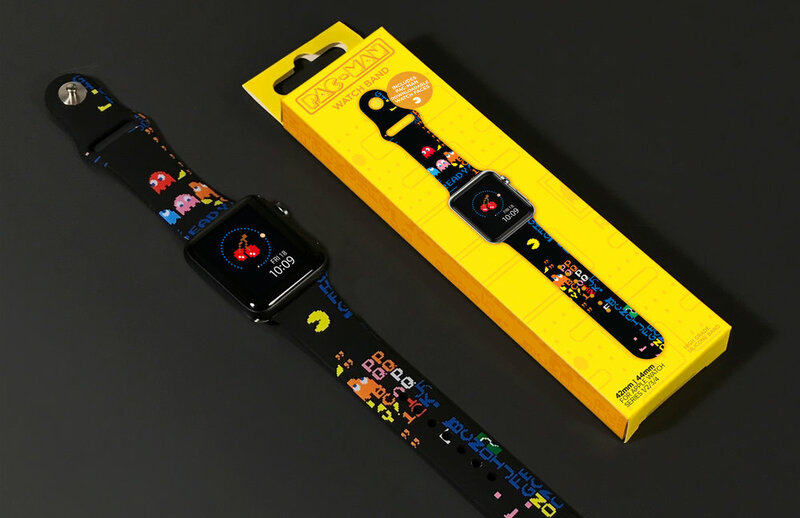 I designed this exclusive Pac-Man Apple Watch band alongside Bandai Namco, the creators of the iconic yellow video game character. The design of the band is an homage to the final, impossible maze in the original Pac-Man arcade game, known as level 256. If a player manages to get to this nearly-unreachable board, the game's code collapses into an unplayable, glitchy mess. There is beauty in that unintended chaos. I also designed the packaaing for this special release, which is currently available exclusively at Loot Crate. I worked with the Peekaboo Gallery for their inaugural show, 25¢ A Play: The Art of the Videocade. This exhibition and auction focused on the art and objects of this early arcade era, recreating the ultimate video game haven. I worked with gallery owner Jordan Reichek to curate a range of objects and artwork for the show, adding a level of sophistication and interest that appealed to everyone who connected with that early video game era. Jason Adam and I worked closely with iam8bit to create a new book to capture the energy and creativity of their long-running video game-inspired art show. Poring over years of wonderful art from the retro game infused collection, we curated the final selection of art, illustration and sculpture and designed the book itself. Not only did we art direct the iconic cover, but we also co-published the finished volume under my Plastic Highway creative imprint. The final result reads like we bottled the enthusiasm and magic of those early games.